Jarrow Formulas MSM is an organic source of bioavailable sulfur. 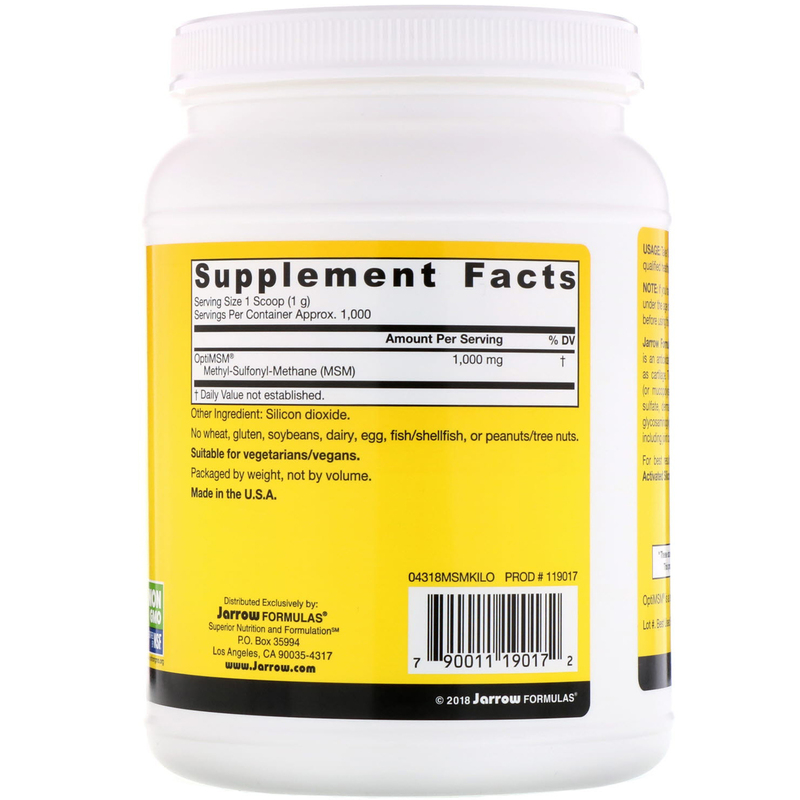 Sulfur is an antioxidant mineral found in major structural tissues of the body, such as cartilage. 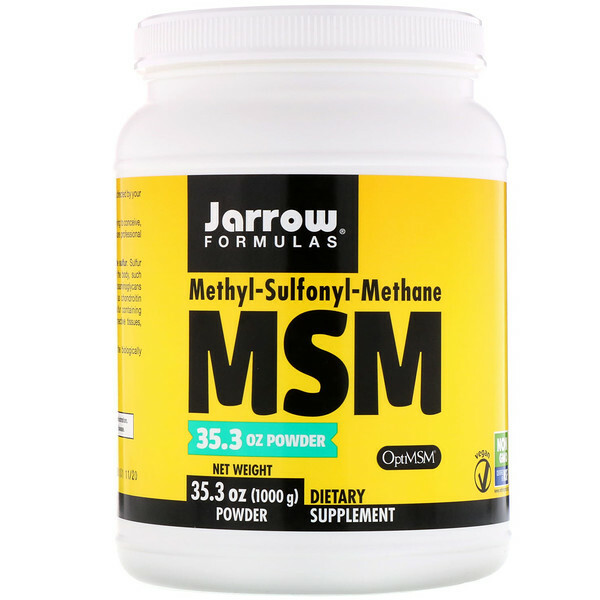 The sulfur from MSM is used to produce glycosaminoglycans (or mucopolysaccharides) present in proteoglycans, such as chondroitin sulfate, dermatan sulfate and hyaluronic acid. These sulfur containing glycosaminoglycans are found in high concentrations in connective tissues, including joint cartilage, skin and collagen.